Cardiovascular exercise, often referred to as cardio, is any exercise that increases your heart rate for 10-30 minutes. Cardiovascular exercise should also engage several major muscle groups while increasing respiration to help improve blood flow and oxygen distribution throughout the body. The basic idea behind this kind of exercises is to improve the overall quality of your heart and lung function. This can improve your overall health by lowering stress, increasing endorphin levels and causing your body to function at a more efficient level. Some people like the idea of combining cardiovascular activities with strength training to optimize their potential weight loss and toning. Sports such as kickboxing, tai chi or yoga can be ideal for this. The key is to provide resistance for your limbs while you move at a fast pace to burn the optimum amount of calories. Performing sport routines such as Cross Trainer workouts are often recommended for this along with more traditional cardiovascular exercise routines. 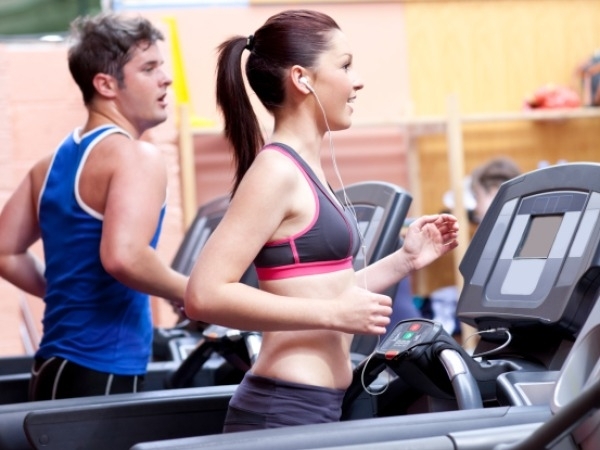 Running is one of the activities most commonly associated with cardiovascular exercises. Those who are new to exercising can also jog or walk briskly to get similar effects, though you may not burn as many calories if you are not moving as quickly. Running is an ideal choice for many exercisers because it does not require any equipment and it is low impact so it does not stress the body if you perform this task frequently, and it still gets the heart rate up more efficiently than many high impact activities. Bicycling also provides similar benefit to elliptical workouts, but is considered no impact because your body weight is being supported by the bike. Cycling benefits are considered the same whether you are exercising outdoors or you are using a stationary bike inside. Both activities put limited stress on the joints so many people can perform this task for longer periods of time than they can run or perform high impact exercises like skiing. Using a rowing machine can help you perform cardiovascular activities that assist the whole body. Rowing machines allow you to work your arms so that you are not just performing activities that are strengthening the legs. Rowing machines are an ideal choice for those looking for a long-term cardiovascular exercises because you can adjust the resistance on the machine to fit your experience level. This way you can slowly work your way up to a harder setting as you continue to work out for longer periods of time. Swimming is also a low impact exercise that has many cardiovascular benefits. The water supports the body weight so there is no impact on the body while you work out, so it is ideal for those with joint problems who can perform a lot more exercise this way without the risk of damage. Swimmers can do laps or perform a routine with water weights to help burn calories. You can also perform activities like water polo to get a cardiovascular workout. There are multiple aerobic routines that you can perform to earn the benefits of cardiovascular health. There are many aerobic dance routines that you can perform in a class or in your own home. Higher impact activities such as jumping rope or performing heavy duty chores around the house can also count as cardiovascular exercise. Many classes also use higher impact tools such as step aerobics to increase the impact or calorie burning levels of the workout. Or you can choose walking ior kickboxing as ways to exercises which can be simple and effective.